So — I’m having a terrible run with these monthly wellness challenges. 🙂 I don’t think that I’ve completed one successfully yet – -but I’ve learned a lot and continue to try. I was SO close with the October challenge — I even got others involved, but being out sick for almost 2 weeks made is a no-go. I got up to 2 minutes pretty and heard from a fitness coach that a 2 minute plank is “respectable” — but I still want to get to that 5 minutes — so I’m still working on that and plan to pick up again at 2 minute marker. My focus for November is to try eating Clean. I’ve heard a lot about it and my guy and I want to give it a serious attempt. So I’m reading up on it and making a plan and want to try to eat clean for a week. I also am making a serious attempt at work life balance, so I also wanted to plan a trip before the end of the year — and I’ve got that in the book! CHECK! I’ll tell you how it goes at the end of the month! What about you — what are some of your wellness challenges for the month? As an HR professional I’ve spent a number of years helping to design benefit plans and countless hours explaining to employees (and sometimes even friends and family members) how they work. You’d probably think that making decisions for my own would be a piece of cake — but I actually go through all the same advice that I give to others when thinking about choosing what plan is best for you. Sometimes your employer doesn’t give you options, in which case, the decision is pretty easy :), but other times you may be presented with 2, 3, 4, 5, or maybe even 6 or more plans to choose from. Sidenote: I once worked for a company that did a “choose your own” plan which had dozens of combos and was great if you understood the plans and was hard to explain if you didn’t. When you are looking at what plan is best for you, if you have a choice, you should make a look at the financial costs and what are your comfortable with. This is for an employer offered plans, although I’d like to think that this would still apply for any other medical plans you’d consider. What have you used your plan in the past? What kind of regular medical visits, costs for regular prescriptions, regular treatments have you had and plan to continue to have? What do you spend at “point of service” — how much would you spend for a doctor’s visit or a prescription on the plan? What is the deductible and out of pocket maximum’s for the plan — what does the worse case look like? Are your doctors in the network or do you have a doctor that you love and want to go to no matter what? Its always cheaper to stay in the network, but if you have a doctor or specialist you love, are you on a plan that allows you go see them out of network and are you comfortable with the cost? How much are you paying per pay period? People often forget about this cost since it comes out of their paycheck but its part of understanding what you are paying towards your medical costs. Do you have any life changes planned? Are you getting married, divorced, maybe changes with your custody agreements? If so, will that plan work after those changes are made? Do you have enough insurance and/or savings? Do you have another medical insurance policy that you’ll have to coordinate benefits with? Think about how they use the plan and are there in-network doctors and providers in their area if they do not live near you? Do they have an option for health insurance at their job? If so, how do the plans compare? Is it better for you to be on one plan or for each to be on their own? If you have a domestic partner and they are on your insurance, keep in mind the IRS rules for an HSA — you can’t use your account to pay for their expenses so they’ll need to set up their own HSA and for them to start their savings or put away money for their medical expenses. What do you want to pay at point of service if you need a doctor’s visit or a prescription — are you okay to pay the full cost of a prescription if you are on a High Deductible Health Plan (HDHP) until you reach the deductible or are you more comfortable with a co-pay? Are you considering using a Medical Flexible Spending Account (FSA)? So while I had a fabulous time on Saturday with a friend shopping for shoes and holiday gifts, today I sat down chatted with my sig-o about what 2014 holds. Not fun — it is kinda weird and sometimes even uncomfortable to have those discussions sometimes, but you’re talking about your future, your finances, life events, and what ifs — but its important to think about and get a plan (you know me and my plan). 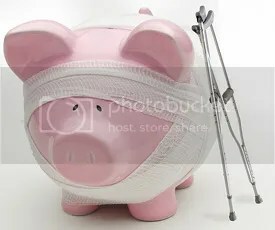 I’m leaning towards a high deductible plan but still not sure — but will come back and let you know what I picked and some of the reasons why — or at least what things I considered. PS. I’m not a tax adviser and can’t tell you what is the best plan for you, but happy to give you some resources for you to think about and to ask your tax professional or your HR person.